Observation - Polysiphonia lanosa - UK and Ireland. Description: Red algae found only living on knotted wrack Ascophyllum nodosum. Fine fronds. 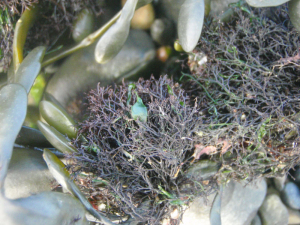 Red algae found only living on knotted wrack Ascophyllum nodosum. Fine fronds.